Looking for affordable indoor air quality services? Get in touch with the highly trained professionals at Eagle Plumbing & Heating. Call us today at (360) 318-9999. To save on many of our valued services, click here. Indoor air quality has a direct impact on the health of your entire family. Diminished air quality can cause respiratory irritation and even contribute to more serious ailments, like chronic lung diseases. Identifying the causes of poor indoor air quality and taking the proper steps to correct them will ensure that your loved ones are safe and comfortable inside your residence. The personable professionals at Eagle Plumbing & Heating know the keys to providing superior indoor air quality, and are always willing to answer all of your questions and address any concerns you may have. 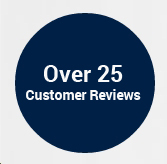 To see reviews from other customers in your area on the services we provide, click here. Secondhand smoke is an indoor air pollutant that contains approximately 200 known toxins and at least 60 compounds that have been identified as carcinogens. Children may also experience ear infections, lower respiratory problems, as well as the onset and worsening of asthma, due to secondhand smoke inhalation. Biological pollutants like animal dander, mold, bacteria, pollen, and irritating particles from cockroaches and dust mites can also trigger allergies and cause additional infections. The emission of combustion pollutants from heat sources like stoves, furnaces, water heaters, space heaters, and fireplaces can also create issues with the air inside your home. Carbon monoxide is one of the most dangerous combustion pollutants, as inhalation can cause fatigue, confusion, dizziness, headaches, and even more serious health risks. Carbon monoxide can potentially be fatal when inhaled in large amounts. Taking precautionary measures and having your home inspected regularly by the professionals at Eagle Plumbing & Heating will greatly reduce hazardous situations caused by disrupted indoor air quality. There are several ways to improve indoor air quality at home. Each method depends on the source of the air pollutant. Biological pollutants can be reduced by washing bedding and other household fabrics to eliminate dust mites and other unwanted particles. Cleaning your home regularly and carefully, as well as keeping pets off of your furniture, will help to minimize allergy symptoms. Mold growth can be greatly reduced by lowering the amount of moisture in your residence. A dehumidifier and well maintained air ducts can be extremely useful in helping to eliminate excess moisture. The dangers of indoor air pollution caused by cigarettes can be completely avoided if you simply do not allow smoking inside your home. Additionally, ensuring proper installation and maintenance of all heating appliances is critical to avoiding combustion pollutants. Every home should also be equipped with a carbon monoxide monitor in order to keep your loved ones safe. What are some common signs that your air duct needs to be repaired? There are many signs that indicate the need for air duct repair services. A problematic air duct may cause uneven temperatures throughout your home. Ducts that have a tears or cracks do not provide a consistent barrier and, therefore, need to be repaired. Large amounts of debris around your registers are also indicative of a compromised air duct. You will additionally notice an increase in your energy bills if your air ducts are not functioning properly. High levels of humidity inside your residence is another common sign that your air ducts need to be serviced. For reliable air quality services in your area, contact the trusted professionals at Eagle Plumbing & Heating. Call us today at (360) 318-9999.